Are you the type of person that is “shy until I get to know somebody?”, then you might be an introvert. 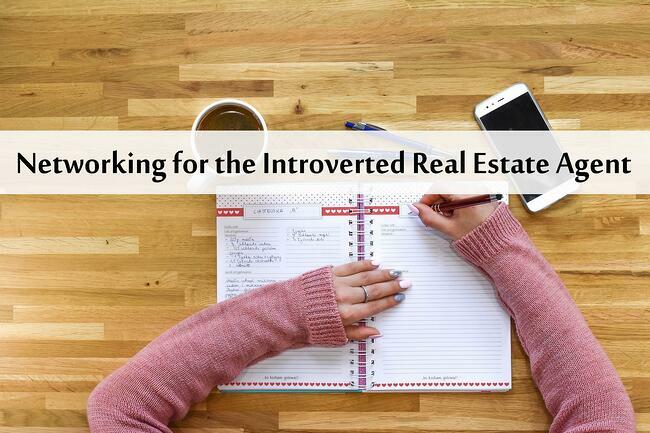 Introverts might not be the best at commanding the attention of an entire room, but they are experts at building authentic relationships with their potential clients. If you are an extrovert, some of these tips may offer perspective or even give you an alternative strategy at networking! Networking events are filled with people that want to meet as many people as possible for future possible collaborations. You might not thrive in this environment, because there are many people that come to these events to increase the quantity of their network not necessarily the quality. Instead, you should attend events that you would enjoy where networking opportunities would be present. Meeting a lender at a networking event is great, but being in the same bowling league as somebody who happens to be a lender is even better. Do you get complimented on that fancy red scarf? Or your floral necktie? Wear that more often! This will make it more likely that people will initiate conversation with you, instead of the other way around. Think of your fashion as a fishing hook. Once you get a compliment, reel them in with a short story. “Thanks, I’m wearing it because _________”. Then continue the conversation from there! When it comes to networking, most people will be in it for themselves. It really stands out if you do something for others. After getting to know people on a more personal level, everybody else you meet is an opportunity to connect people. The more you are the connector, the more you become the connective tissue in this mini-community you inadvertently created. Everybody knows each other through you, so when one of their friends or family is ready to buy a home, you will be the first person they recommend. They will remember the value you brought into their lives by introducing that plumber, contractor, fellow sports fan, etc., into their life. Social networks are a goldmine for introverts. By posting content that people can engage with, or engaging with other people's content you can get to know people and build stronger rapport for when you meet them in real life. A great place to start adding comments is on posts from your local news station about local areas. You don't need to comment about real estate, just your thoughts on whatever topic they are talking about. The more people see you, the more people you are engaging with, the more they are likely to work with you! After exchanging contact info, you can let Zurple continue to nurture that relationship. Click below to find out how!